Our family has been in serious need of some down time. The kids are out of school for the holidays and the house has been noisy, the weather muggy, and most of us have been super busy. Last night we grabbed our one free night of the week and made some precious memories! 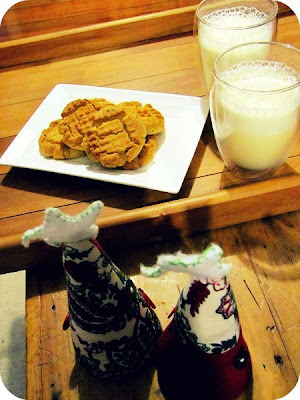 It all started with the traditional eggnog under the Christmas tree, along with some tasty peanut butter biscuits. 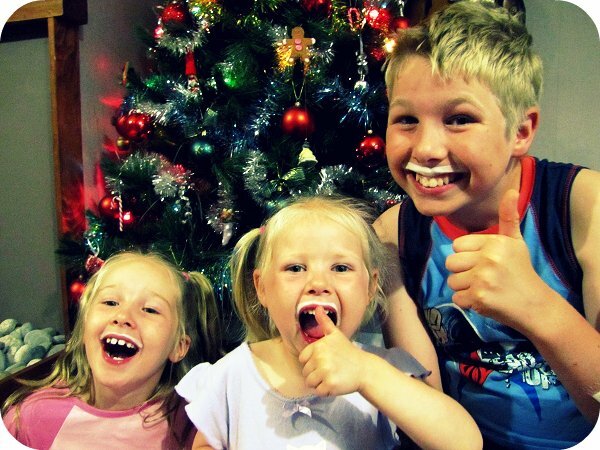 I then thought I'd try and get some photos of the kids by the tree, posing nicely and smiling sweetly... I gave up after the first click - for some reason there is always someone either cross-eyed or poking out their tongue in this bunch. But then my favourite part of the night was when we began with our new family tradition... gathering around as Daddy reads to us as a family. The Complete Chronicles of Narnia is the chosen book to start with - should only take us about 10 years to get through. Here's to down time, family and fun traditions (minus the crossed eyes). I do love reading about your family traditions and seeing those gorgeous kids of yours! Great memories for you all! Your family is AWESOME! So lovely...and funny! Lovely idea - Crikey that's some serious reading milege! 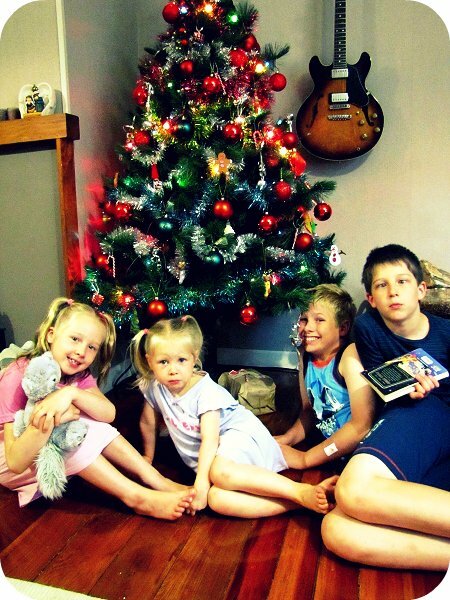 just wanted to say I get a lot of family inspiration from your blog Kristy, I really like reading about your family traditions and family fun nights :) Have a great christmas! These are the memories they will treasure as adults. Love the crossed eye photos! Must be a boy thing. BTW your girls are looking more and more alike! Wish we could have stopped in and said hi on our way home from Sandy Bay! 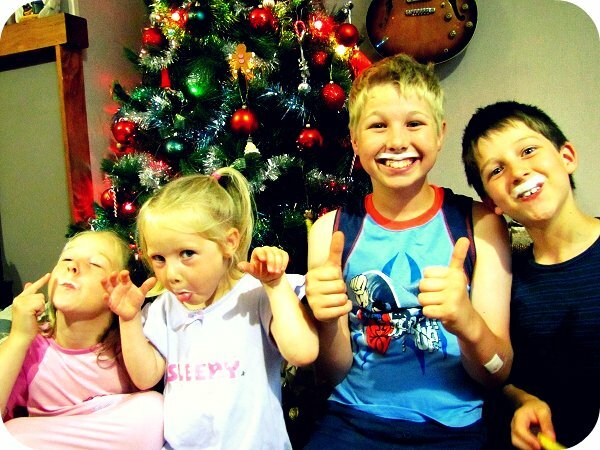 always loven' your family time PJ! P.S your tree is pretty! 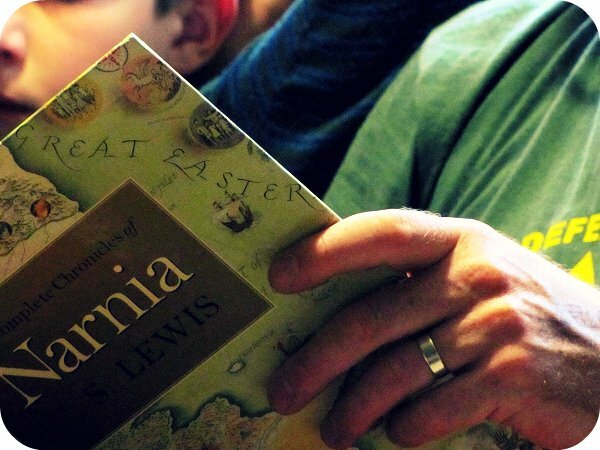 What a great tradition to read to your kids..and love the Narnia books! Fun photos - you always put a smile on my face.